FXAA and SSAA. Enforces FXAA with launcher, see Anti-aliasing (AA). 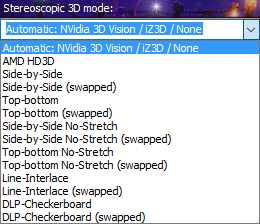 Anisotropic filtering is tied to the graphics detail level but can also be set manually. In the Trine 3 launcher, it may be necessary to change the refresh rate from "Automatic" to the actual number in hertz (windowed also works). Master, effects, speech and music. Copy SpecialK64.dll to the installation folder. 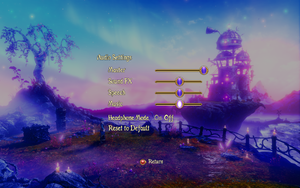 Player can drop in and out at any time by pressing start/confirm. Can include two local players. 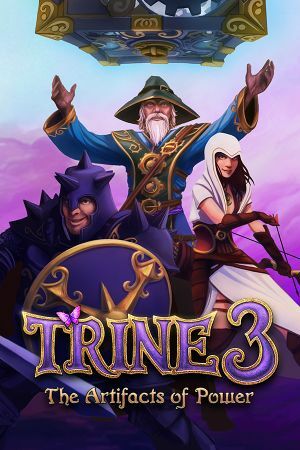 See Helix Mod: Trine 3. Highest graphics detail levels are only available in 64 bit OS. 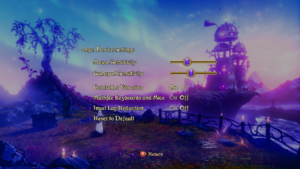 Please be advised that Trine 3: The Artifacts of Power does not run on older MacBooks. Requires at least Intel HD Graphics 4000 or better. All Macs produced since Late 2013 are able to run the game. 64-bit Linux OS is required. 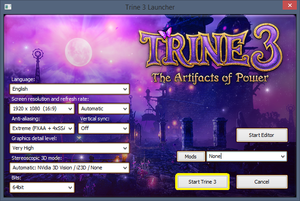 Trine 3: The Artifacts of Power runs best with proprietary drivers and may not function correctly with open source drivers. This page was last edited on 15 April 2019, at 00:33.